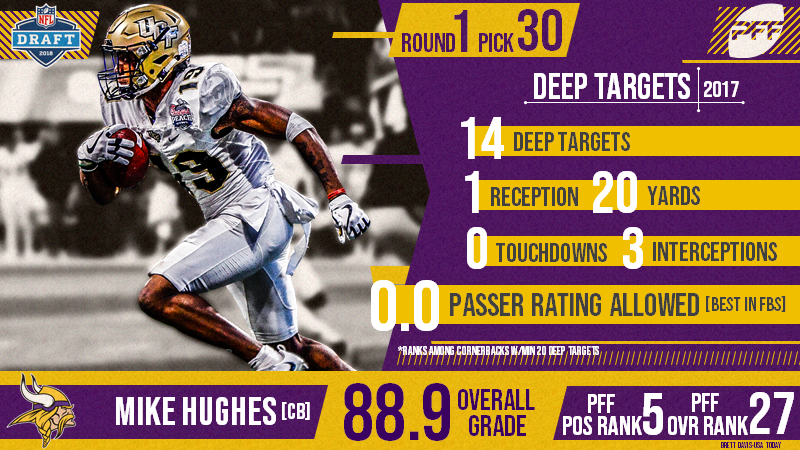 With the 30th selection of the 2018 NFL Draft, the Minnesota Vikings have selected Mike Hughes. The former UCF standout defensive back was selected 30th overall after finishing the 2017 season with an 88.6 overall grade. Allowed an NFL passer rating of just 35.5 when targeted in 2017, surrendered only 273 yards in coverage all season. Has just 1,049 snaps of playing time, 884 of which came this past season.